Update: We've added new kid on the block Raptr to our list. It's one you should check out — especially if you're rocking a modest PC with integrated graphics. Gaming on the PC is still a thriving business, despite the success of consoles such as the Playstation 4 and Xbox One. However, the 3D graphics used in the latest games can put a real strain on your PC. Fortunately, we've got some great free apps that can help you fine-tune your PC's gaming performance. We've also found some useful apps that can help you find the best games on sale, and even record and upload your own gaming videos onto sites like YouTube or Twitch. 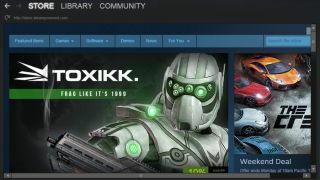 It isn't the only online store for buying and downloading PC games, but Steam is far and away the biggest. It offers a vast library of games, both old and new, and is now responsible for more than 60% of global sales of PC games. As well as selling new games, the Steam app lets you download free demos and runs special offers on older games too. Pretty much any game you could want will be available on Steam. There's also a Community section where you can join discussions with other gamers, or check out the workshop where fans develop their own 'mods' – modifications – that add new content or features to your favourite games. Even when your PC looks as though it's sitting idle, it's actually running many different processes – programs or other Windows features that run in the background and take up processor power and memory. Game Booster allows you to turn off these processes in order to devote maximum power and memory to your games. Game Booster can shut down background processes that may slow your PC down. It also includes a Tweaking option that lets you fine-tune other Windows settings, plus a diagnostic tool that can help you analyse crashes or other problems on your PC. It's not a tool for beginners, though, as you'll need a bit of technical know-how to understand some of the techno-jargon that it throws at you. Afterburner was originally designed for MSI's own range of graphics cards, but it will work with most graphics cards that use Nvidia's GeForce processors or Radeon processors from AMD. Afterburner is a useful tool if you want to experiment with overclocking. The app allows you to adjust a variety of settings in order to improve the performance of your graphics card. The two key options are for increasing the clock speed of your main graphics processor, and the video memory attached to it (hence the term 'overclocking'). Fiddling with these settings can cause your PC to overheat if you're not careful, so the app also monitors the temperature of your graphics card and even allows you to speed up the internal fan to help keep things cool. You should always keep up to date with the latest drivers for your graphics card, but Nvidia's GeForce Experience does a lot more than just check for driver updates. Now installed on more than 35 million desktop and laptop PCs that use nVidia graphics cards, GeForce Experience can analyse your PC system and then automatically adjust the graphics and other settings on your games in order to achieve the best performance. You can record your gaming victories using ShadowPlay in GeForce Experience. It also includes a feature called ShadowPlay that allows you to make video recordings of your games sessions so that you can upload them to sites such as YouTube or Twitch and become an online gaming superstar. Speed is crucial in action games, and a few extra frames per second can make the difference between winning or being blown to smithereens. Fraps can help you fine-tune the performance of your PC by displaying the frame rate up in one corner of the screen while you are running any of your favourite games. You can test the speed of your PC using FRAPS. This allows you to experiment with different graphics settings so that you can get the right balance between speed and eye-popping graphics effects. There are a number of different options available, including the ability to record minimum, maximum and average frame rates, so you can analyse the performance of your PC in great detail.